An estate planning attorney assists in the process of anticipating and arranging, during a person’s life, for the management and disposal of that person’s estate during the person’s life and at and after death, while minimizing gift, estate, generation-skipping transfer, and income taxes. Wills: A will passes assets that are in your name at the time of your death to your chosen beneficiaries. A Will also appoints a personal representative who will be responsible for probating the estate and getting your assets to your beneficiaries, and can also include provisions to care for your minor children in your absence. Health Care Proxy: A Health Care Proxy authorizes another person to make medical decisions on your behalf should you become incapacitated in the future and be unable to communicate those decisions to your doctors. Power of Attorney: A Power of Attorney allows you to appoint a person to make and execute business decisions on your behalf. Living Will: A Living Will allows you to specify the kind of life-saving and life-sustaining care and treatment you do or do not wish to receive in the event you become incapacitated or terminally ill.
Elder law concentrates on the unique issues that concern elder clients and their families. Your estate planning attorney emphasizes advanced planning as a more effective tool than reacting to a potential crisis. One of the most common concerns our elder clients is the loss of their hard earned assets should they find the need for long-term care. To address this concern, we develop trusts that protect their assets from nursing home expenses. We also assist clients and their families in applying for Medicaid benefits should long term care be necessary. Your estate planning attorney possesses the cutting edge techniques to protect your family assets and obtain available benefits for our elder clients. When a loved one becomes disabled or incapacitated and is no longer able to make important personal and financial decisions for themselves, a trusted caretaker can be appointed to look after their interests. A guardian or conservator may be appointed when a Probate Court determines that an individual is incapacitated to such a degree that they are unable to care for themselves or their assets. 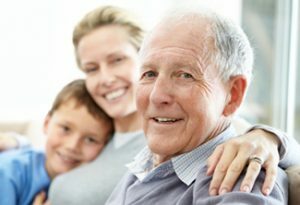 Guardians are authorized by the Probate Court to take care of personal and medical decisions of the incapacitated person, while Conservators are appointed to take care of the person’s financial decisions. As always, planning is essential, and if you have a properly drafted Health Care Proxy and Power of Attorney in place, you will be less likely to need future court involvement. This can create a significant savings in terms of time and money. But in the event there is a need for a Guardian or Conservator for a loved one, we can help you through that difficult process. Probate administration is a judicial process whereby an individual’s assets are distributed after he or she passes away, either according to the individual’s Will or according to state laws if they did not have proper estate planning in place. The period of time following a loved one’s death is difficult. Your estate planning attorney can assist you as the personal representative or trustee to do address the issues necessary to settle your loved one’s estate. This may include filing paperwork with the probate court, contacting beneficiaries, conducting an inventory of the assets, dealing with creditors and any unpaid taxes, providing distribution of assets in accordance with a will or with the law, getting guardians in place for minor children, and passing title to real estate and other assets. And if issues arise with regards to one’s estate, our firm can defend your interest in these often complicated and emotional disputes. For more information about our practice or legal guidance in Estate Planning & Administration or Elder Law, please send email here, or call us at 978-250-3800.